If you have an eCommerce site, a business site or sell affiliate products from a blog, then it’s important to recognize all the different factors that contribute to someone making a purchase or not. Of course the quality of your product or service will come into play here to a big extent, and so too will your site and whether or not it looks professional and is easy to navigate. What’s most important though is your ability to convince a visitor to make a purchase, to get inside their head and to understand their psychology so that you can subtly influence their behavior and get them to make a purchase. This is the art of persuasive writing, and if you can master it, then you’ll find that getting more and more people to place an order becomes almost a predictable science. Here we will look at how to employ great sales script that will help you get to that point. The first thing to keep in mind is that when someone reads your sales script they are going to automatically go into a critical mode. They know you’re trying to persuade them and they’ve probably been let down by products similar to yours. Thus they’re going to have audible doubts running through their mind – things like ‘I doubt it’s the cheapest available’ or ‘it probably doesn’t work that well’. The best way to deal with this negativity then is to tackle it head on – by acknowledging their concerns and expressing why they aren’t valid. For instance then you could write ‘At last, a system that actually works and is proven by scientific research’ as your heading, or you could write ‘By far the cheapest option on the market – Get in touch to find out why’. However well you address these concerns though you should recognize that there are still going to be a few and they will worry that spending the money is going to be a mistake. Allay these fears then with a money back guarantee of some sort. If you promise to refund them – no questions asked – if they aren’t happy, then you eliminate any risk and demonstrate confidence. Of course most people never get round to asking for refunds even if they do want one. Statistics are great because they can’t be argued with (or so one would think), but a personal story is always more effective due to the evolution of our psychology. We have developed to learn from others and to respect social signals, so if you can use personal stories of how people have used your product, and if you can make it look popular and hip, then you will greatly increase your conversion rate. Instilling a sense of urgency into the purchase is also a good idea. Most purchases you see are impulsive and emotional, but this is something that gets lost over time – if your visitor goes away to ‘think about it’ then there’s a good chance they won’t buy. Introduce a ‘limited stock’ then (also a strong social signal) or a limited offer and you can get people to act immediately when your pitch is fresh in their minds. 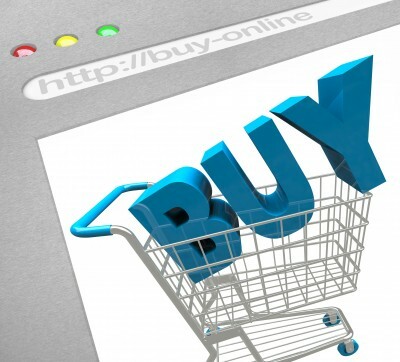 And make the buy button red – it’s been proven to create a sense of urgency on an unconscious level. This guest post is contributed by Alex Kirichenko of Business Media. He enjoys writing blogs in his spare time. He suggests his readers to take help of Business Media’s expertise to create a website that’s successful and well organized.